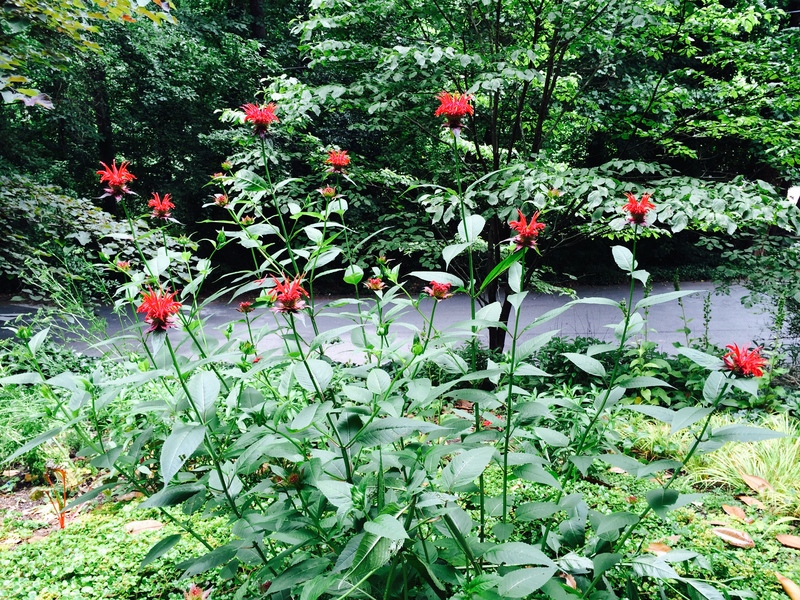 Few events delight me more than the blooming of my Bee Balm, the opening attraction of my hummingbird viewing season. I can sit at my desk in my office and watch as they gather around. As a medical intuitive healer, I am keenly aware how connected we all are and how intimately dependent we are to every other species on the planet. Experts estimate that 1 out of every 3 bites of food you eat is dependent on the work of hummingbirds, bees, butterflies and other animals who transfer pollen. Just as smaller people are more vulnerable to large doses of chemicals, hummingbirds may be even more sensitive to insecticides and pesticides that many people commonly use in their garden. What can you do to help hummingbirds? Clean your hummingbird feeders every week using hot water and a bottle brush. Toxic mold may be poisonous to them. Rancid nectar may also be deadly. Switch your garden to all-organic fertilizers. I personally maintain a compost pile, which is one of the best methods of natural recycling. Avoid pesticides and insecticides. Hummingbirds feed on spiders and many common backyard insects including gnats and flies. Do not place your hummingbird feeders too close to a window. They may collide into the window and injure or kill themselves. Keep your water fountains and other sources of outdoor water clean. Hummingbirds are attracted to water. Do not use red dye. The red dye may cause tumors of the bill and liver of hummingbirds. It is apparently red dye #40, also known as Allura Red AC, an azo dye made form coal tar. Although the FDA approves many so-called foods for humans to eat, there is no research that this dye is safe for wildlife. Lastly, the red dye is not necessary to attract hummingbirds. You can mix your own nectar using 3 to 5 parts water to 1 part white sugar. Tubular or trumpet-shaped flowers as well as red, orange or deep pink flowers will attract hummingbirds. These may include: Flame anisacanthus, Desert honeysuckle, aloe vera, agastache, Hyssop, Hummingbird mint, Chinese bell flower, flowering maple, columbine, fuschia, firebush, desert willow, bottlebrush, bird of paradise, shrimp plant, red hot poker, torch lilly, Indian tobacco, fool’s bane, honeysuckle, bee balm, penstemon, sage and yellow trumpet bush. Hummingbird is one of my personal power animals, along with two snow leopards (a mother and a baby) as well as a hawk. Hummingbird medicine connects us to the energy of endless joy. Setting your intention to take better care of the hummingbirds, bees and butterflies may end up being one of the greatest things you have ever done for your health. That’s because chemicals commonly used for fertilizers, insecticides and pesticides are well known to cause cancer in humans. What is healing? Healing happens when we take responsibility for our environment and create a healthy space for all species to live in harmony with one another.